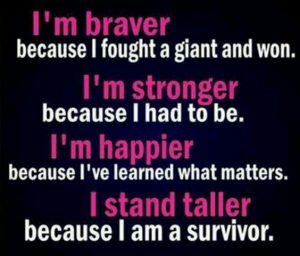 This month we want to spotlight our volunteers that have survived breast cancer. These ladies ARE Pink Warriors! Elise, Jodi, Keree, Lynda, Melanie, Melody, Sharon, Sheryl, and Tana. Here’s a volunteer that is taking her role to Heart! 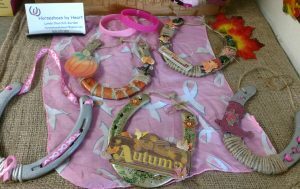 Lynda Churchill, creator of Horseshoes-by-Heart and a Pink Warrior herself has found a great “healing therapy” in crafting her decorative horseshoes and as a way to raise donations for Because There Is Hope.